Dickie V! You can’t say that! Haha. Old people and twitter. Like oil and water. 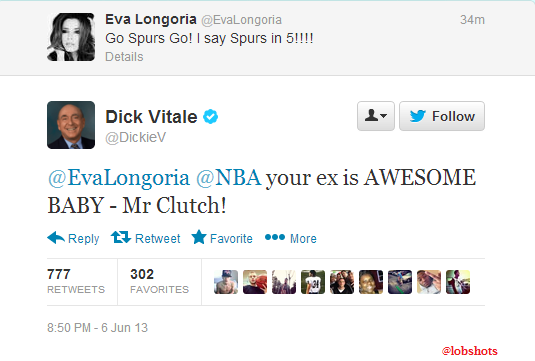 This entry was posted in Basketball, Media, NBA and tagged dickie V, dickie V tweets eva longoria, Heat, spurs, tony parker. Bookmark the permalink.